On Sunday, India finished a successful home season against West Indies. They whitewashed the visitors in both the Test and T20I series. The Men in Blue looked completely dominant from the very start. Despite a few hiccups, they won the ODI series 3-1. India tried various players in order to sort out things ahead of the upcoming World Cup, which is scheduled to be held from May to July in 2019. Their middle-order has not been very impressive and they are still trying to fill some voids. 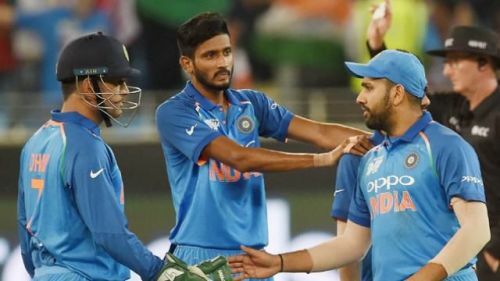 During the 5-match ODI and 3-match T20I series, several players made a mark with their performances and affirmed their spots in India's World Cup squad. In this article, we look at four players who performed strongly against West Indies and may have just confirmed their entry into India's squad for the all important tournament next year. Ravindra Jadeja was out of the ODI team for a long time. But, the left-arm spinner made a strong comeback in the Asia Cup and made it to the ODI squad against West Indies as well. Jadeja enjoyed the pitches on offer in this series. He scalped seven wickets in four matches at an average of 26.85 and economy-rate of 4.71. In the final ODI, he took a four-wicket-haul to propel India to a clinical win. His victims included dangerous players like Shimron Hetmyer and Marlon Samuels. 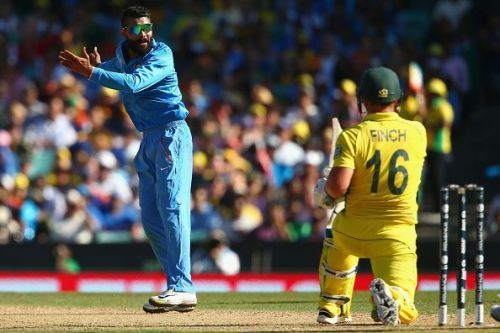 India are expected to go with three spinners in their World Cup squad and Jadeja's recent performances might have made him one among them. He can also bat down the order, which surely makes him a top contender. The left-hander scored an unbeaten hundred in the first Test against West Indies after returning from a successful Asia Cup.